It seems not a day goes by that we don't hear news of a hate crime, bullying, or injustice carried out in the name of religion, gender, race, or belief. In London, a 36-year old woman was arrested after video footage showed her spewing a racist tirade against a pregnant Muslim woman on a bus. "You are lucky I don't kick you in the uterus. You'll never have a kid again," she said. In Israel and Palestine, many Jews and Arabs live in constant fear and hatred of each other, a sentiment that has perpetuated recent violent attacks from both sides. Here in the U.S., racism and bigotry rear their dangerous heads through anti-Muslim rallies at local mosques, police brutality against blacks and Latinos, and anti-immigrant rhetoric on the campaign trail. It is a sobering reality that is reflected in our media, conversations, and communities -- so much so that it nearly drowns out the positive stories to the contrary. Enter the "I Am Your Protector" campaign, an international effort aimed at transforming this narrative through the amplification of stories of everyday heroes who displayed extraordinary courage by protecting those different from them. Stories of people like Noor Inayat Khan, a Muslim woman who was eventually executed for saving Jews during the Holocaust, Jews who provided humanitarian relief to Muslims and Christians during the Bosnian war, and Rabbis arrested for supporting the "Black Lives Matter" movement are just a few of the stories highlighted in the campaign. Their stories and more will be featured in key locations throughout Manhattan, where the project is being launched on Tuesday. 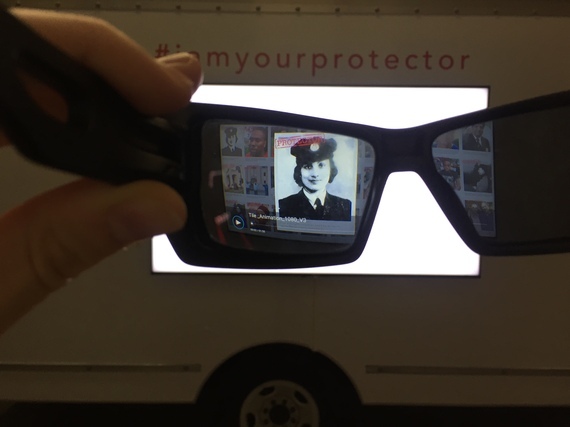 Large trucks will prominently display posters of "protectors" as well as screens that are only visible through special glasses distributed by the campaign. The format echoes the content, inviting people to "see things differently." In addition, performances by The Living Theater and Bond Street Theater will re-enact thought-provoking testimonies and stories of unexpected protectors in Times Square. Following the New York City launch, the campaign will appear in other U.S. cities as well as European capitals. "I Am Your Protector" was organized by people of various religious, racial, ethnic, and belief backgrounds who yearned to create a community of people who speak up and stand up for each other across all sides of the conflicts. Co-founder Dani Laurence, who was born as a political refugee from Hungary during the Communist regime, was motivated by her experiences encountering people who harbored hateful views against others in Europe and the Middle East, where she lived. "Facts alone are not enough," Laurence said. "The power of protector stories is that they make it impossible to continue indiscriminately hating a whole group." Here's hoping that increased awareness of these modern-day and historical protectors will bring to light our common humanity and encourage others to become protectors in their own communities. 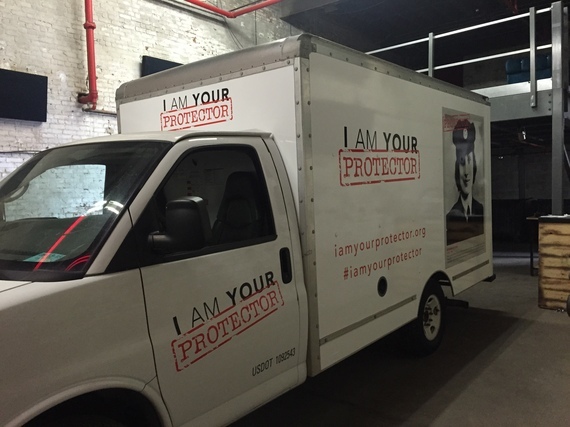 For more on the campaign, visit IAmYourProtector.org and like its page on Facebook.